This article is a reprint from one of our newsletters. 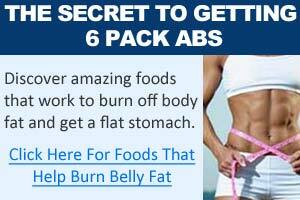 I thought the information contained in this newsletter is very pertinent to help you lose weight as it explains one of the best ways to lose belly fat. You can signup for our newsletter here. Wow, did my inbox get filled up with emails after the last newsletter. =) I spent hours on end on last monday/tuesday trying to answer most of the emails. I'm sorry if I was not able to answer all of them. In the last newsletter, I had asked for some feedback and suggestions, and I got tons of suggestions and feedback of all sorts, so thank you! It appears that the overwhelming number of requests was for more information and help on burning fat, and more specifically getting rid of the belly fat. While I've sent out several newsletters previously discussing this topic, it never hurts to come back to it, and talk about it some more. Anyway, below are just very few of some of the requests I received - names/emails are not posted for privacy reasons. "hi im 50 years old and slogging my heart out with my weights and i am seeing gains but how the hell does a man of my age with a middle aged metabolism stop getting a big belly and love handles..."
" Your e mails are really interesting and honest. One thing that I would like to see is a topic on how to loose fat I am 46 years old and would like to loose some abdominal fat..."
"How do I get rid of belly fat I am walking almost every day and I am seeing some difference as I look better in my clothes. But that's not enough." 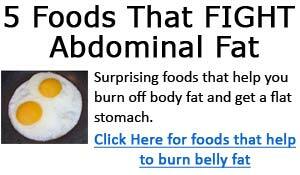 So, here we go again about what you can do to burn fat, and lose some belly fat. First of all, this is something you'll see me mention often, is that you can't spot reduce - meaning you can't some how lose only fat on your belly, or your thighs, or wherever your problem area is, and not affect fat at other places on your body. The only way to lose fat where you want to lose it, be it, belly fat, fat on thighs, arms, you need to reduce your overall body fat. Unfortunately, many people still believe that you can spot reduce, and that the fat loss gimmicks you see on infomercials actually work. There are many aspects of a successful fat loss plan, and it'll take an entire book to cover it all. So in trying to keep it short, I'm just going to talk about one small aspect, yet it is one aspect that's deadly effective at burning fat, which you can add to your weapons for fighting against fat in your arsenal. If you want an exceptionally effective method at burning fat, then start doing morning cardio! Keep the session relatively short and brief, and do it with intervals using ultra high intensity. I'm not sure who, what, or where the idea is perpetuated from that you need to do hours of cardio on end to burn fat. That's absolutely false. I can't think of a better way to waste time than that. In fact, I'll explain later why long duration cardio is simply a waste of time. Don't get me wrong, of course it'll help you burn calories, after all you are doing hours of low impact exercises, but it's far from being the most efficient or effective method. Let me share a little story about me and my family with you. I've been training, quite hard for the better part of 17 years now, since I was a young boy. So I'm quite fit, with a good body fat percentage. About three years ago, our first child (a baby girl) was born. during the time my wife was pregnant and up to a about 2 weeks after birth, I noticed for no particular reason that I was getting FAT! Well, I noticed that I was gaining fat around my waist area, while nothing has changed in my training or diet. So I was a bit alarmed, and thought to myself: "OMG... I'm getting old... Metabolism must be dying on me." =) I was 29 then. Fast forward 2 years, and our 2nd baby, a boy, was born, and what do you know, I experienced the same thing! I was accumulating fat around my mid section. What a disaster, I could hardly see my six pack. Okay, you're probably thinking, gee, it can't be that bad if you can still see your six pack Jim. Anyway, what I did was I increase my cardio training from 3 times a week to 4 to 5 times a week, and moved it up to first thing in the morning. The rest is history. I managed to burn off the extra fat, and became a six pack dad with 2 kids! Kidding aside, what I hope you get out of this is that morning cardio is exceptionally effective at burning fat. However, please keep in mind that I was in good shape and very fit to begin with, and my diet, training, and everything else was good a usual. So please do not think that morning cardio is going to be a magic bullet for you, that it's all that you have to do without making appropriate changes to improve your diet and exercising. Cardio is ONLY one aspect of a successful program. Keep the sessions short - about 16 to 25 minutes. No more than 30 minutes. Do it with ultra high intensity - the more intense the better. Shorter duration cardio sessions that involve very high intensity burn less calories during the duration of the workout, but these intense sessions work to elevate your metabolic rate long after you are finished, resulting in naturally high energy expenditure throughout the day. There you have it, my little spiel about morning cardio. It's a bit long, and I try to keep it short, but I had to get everything in there that was on my mind. As already said earlier, this is just one aspect of a successful fat loss program. You need to make sure other factors such as your diet and training are also in place to achieve the best fat loss results. I can wholeheartedly recommend Tom Venuto's Burn the Fat program for this purpose. I've had a copy myself for several years now, and the material, information, guidance, and help contained in that book is invaluable if you want to burn off fat. I've mentioned Tom's name and his Burn the Fat program many times before, because it's one of those things that I think is truly useful and helpful for losing fat.